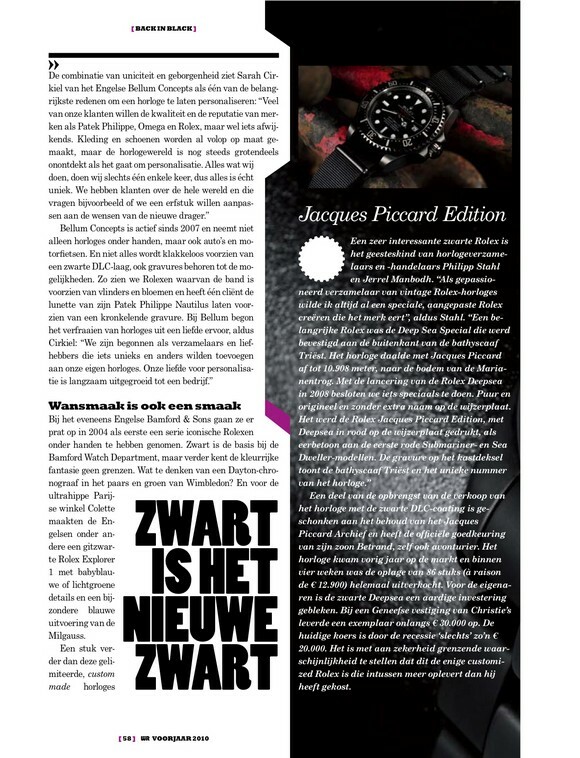 A while ago I was asked by Watch Report, a new Dutch watch lifestyle magazine about my thoughts on customising watches, as I did with the Piccard Single Red Deep Sea. 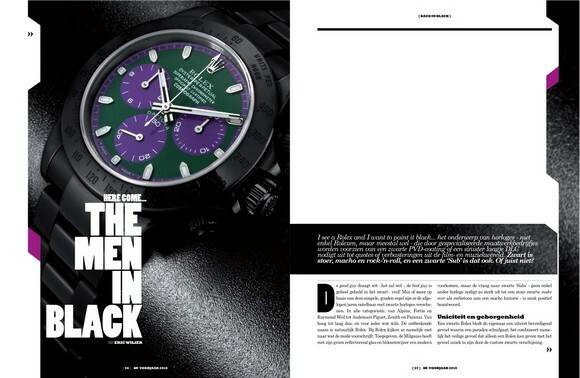 Watch Report wrote on one of the latest trends to make new or pre-owned watches black via PVD or DLC coating. 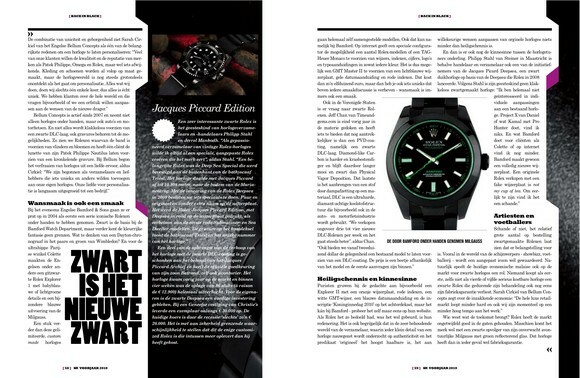 The article zooms in on the customisation of predominantly Rolex watches and poses the question if certain kinds of customisation are tasteful or not by stating that bad taste is also a taste. Contrast to others on the market, I stayed close to the original with the Jacques Piccard edition by only highighting Deepsea in red. The fact that the Piccard sells now for way more than the original asking price, proves I am right. This post was written by Philipp on April 6, 2010.